This residence was a conversion from a nondescript San Francisco row house to an exquisite Green and Green, craftsman-style jewel. 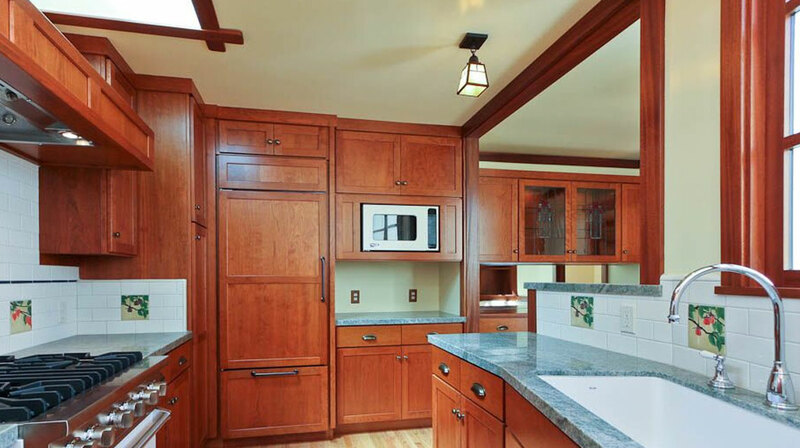 It began when the owners bought some craftsman-style furniture. 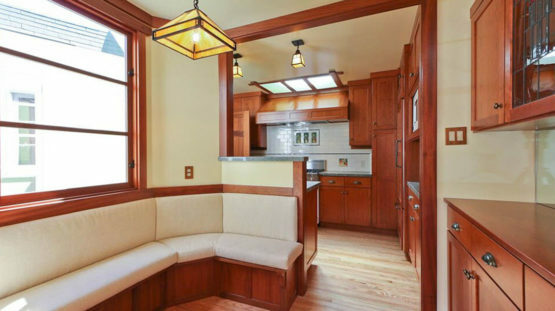 When they began thinking about remodeling their home, they decided that what they really wanted was a house that matched their furniture. 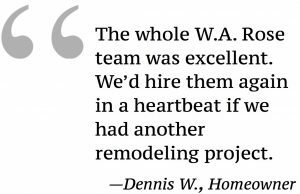 The owners heard about W.A. Rose from a friend who had worked with us on a small remodel and had been impressed with the quality of work and high level of professionalism throughout the project. 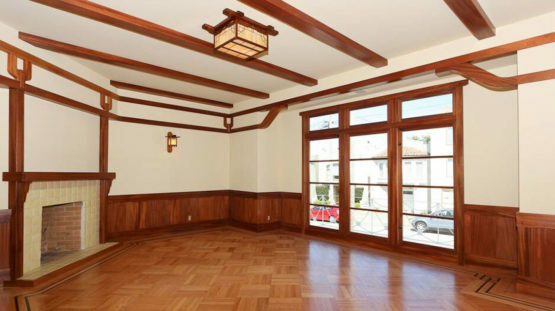 They found a custom millworker in Southern California who also knew an architect and a cabinetmaker who were specialists in craftsman-style work. While they had reservations about working long-distance, Skype bridged the miles and, happily, the distance proved not to be a problem. 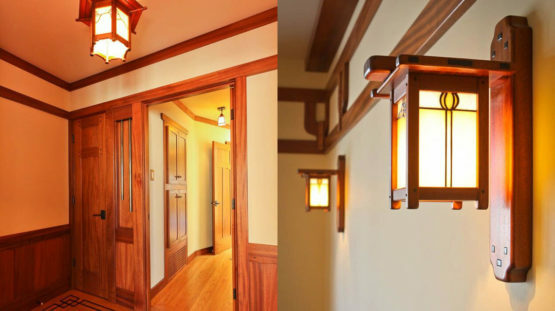 The wood throughout this two-bedroom, one-bathroom cottage was rich African mahogany, requiring careful attention to match the color of the stain with the color of the light fixtures. The two skylights are part of the original design, but they were old and rusty, so we repaired them with new materials to let in more light. All of the windows were insulated and replaced. The kitchen has many customized features, including the cherry cabinets with leaded glass doors, granite countertops and decorative hand-painted tiles in Japanese wood-block designs. The Viking range has a custom hood, and the fan was mounted on the roof so the owners don’t hear its sounds when they’re cooking. course of the project, and they developed a close relationship. Everyone involved in this remodel was committed to making it the exquisite home that it became.